Mauritius Prime Minister Pravind Jugnauth on Thursday said that India and Mauritius are very close to signing a comprehensive economic partnership very soon which will stimulate trade and investment in the region. He was speaking at a State Bank of Mauritius (SBM) event held in Mumbai on Thursday. 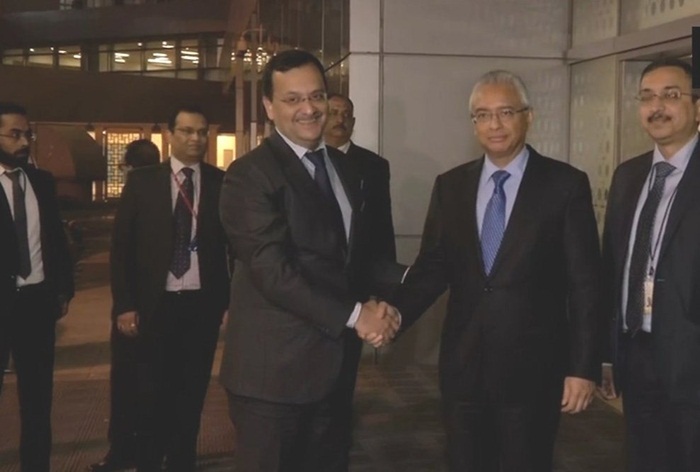 The Mauritius Prime Minister arrived in Mumbai on Thursday on his four-day visit to the city. Addressing the event, Mr. Jugnauth said it is also proposed to have a Mauritius-India Infrastructure Investment Fund for the mutual benefit of both the countries. Mr. Jugnauth said the Indian Ocean country can serve as a bridge between India and Africa specifically. He said Mauritius is developing special economic zones with many African countries and urged Indian investors to invest in such zones. The Mauritius Prime Minister said there are a slew of investor-friendly initiatives which are offered by the country, including a three per cent corporate tax on export-oriented companies and also an eight-year tax holiday. State Bank of Mauritius (SBM) is the first foreign lender to start operations as a wholly owned subsidiary and has four branches at present. Union commerce minister Suresh Prabhu, who was also present at the event, said India is looking forward to a new relationship with Mauritius, knowing well that the future is Asias. He also alluded to the economic partnership agreement, saying the pact is in advance stages of preparation. The Mauritius Prime Minister will be attending the Republic Day Parade at Shivaji Park in Mumbai on Saturday. He will also attend at Home function to be hosted by the Governor of Maharashtra on Saturday. Maharashtra Chief Minister Mr. Devendra Fadnavis is also scheduled to call on him today.